Our aim is to provide a personal and modern family doctor service to our patients. It is the aim of the practice to provide high quality healthcare in a responsive courteous manner to all our patients, with a well – trained and motivated primary healthcare team. We wish to be an approachable, accessible practice making efficient use of all the healthcare team. We aspire to be a respected practice in the community where patients see us as a conscientious, trustworthy and reliable. We also aim to be respected by other healthcare professionals, both clinical and managerial. We wish to maintain the traditional values of a named family doctor to provide continuity of care for patients as well as to embrace innovations to provide the best access for urgent medical problems. Did you know you can now book an appointment online with a Doctor of your choice or order your repeat medication? Please contact the Surgery to register for this service. We hope you enjoy having a look around the site and familiarising yourself with some of the online features . Whatever your thoughts, be sure to let us know via our feedback function . Comments and suggestions are always a great way of helping us continue to enhance the way we look after you. 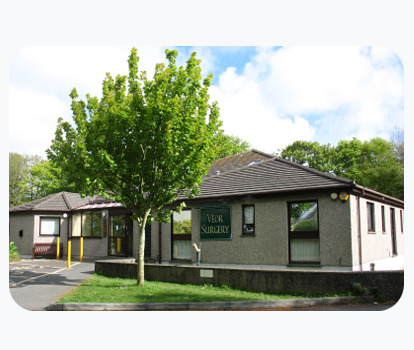 The surgery offers ground floor access to all consulting rooms, thus assisting the disabled and parents with pushchairs. We have standard and disabled toilet facilities, as well as a dedicated baby changing area.